I have a new favourite piece of cake crafting kit – some fabulous picture frame moulds by FPC Sugarcraft. 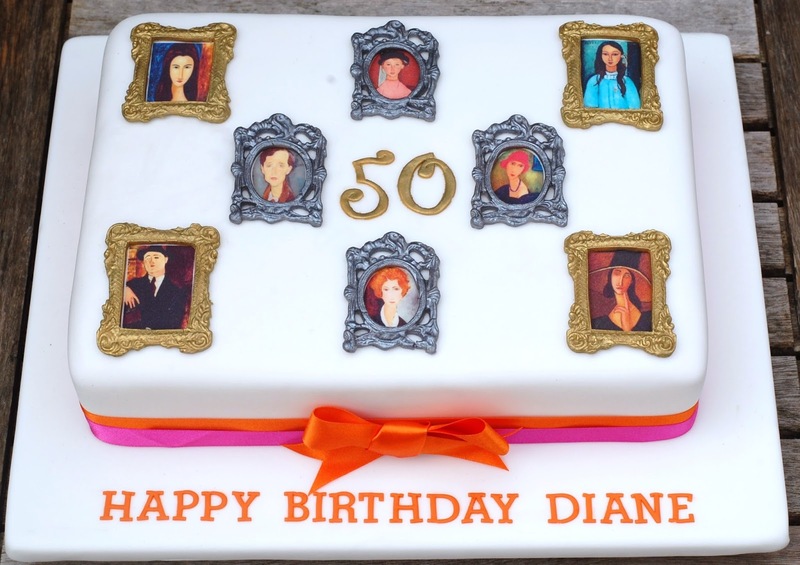 I have had my eye on them for a while and finally found an excuse to buy them when I received an order for a Modigliani themed cake. 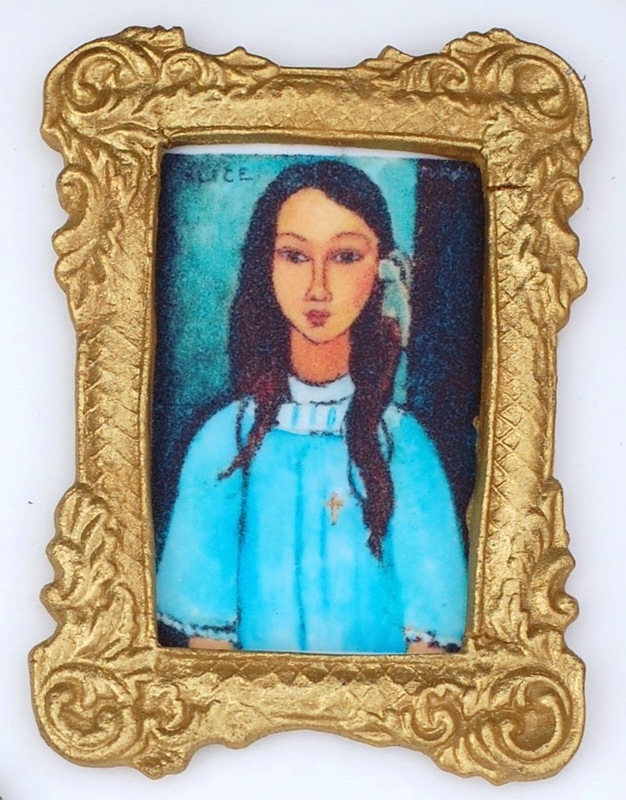 I thought that some little edible printed images of Modigliani’s paintings would look great framed by antique style frames, decorating the top of a cake, like the wall of a gallery. 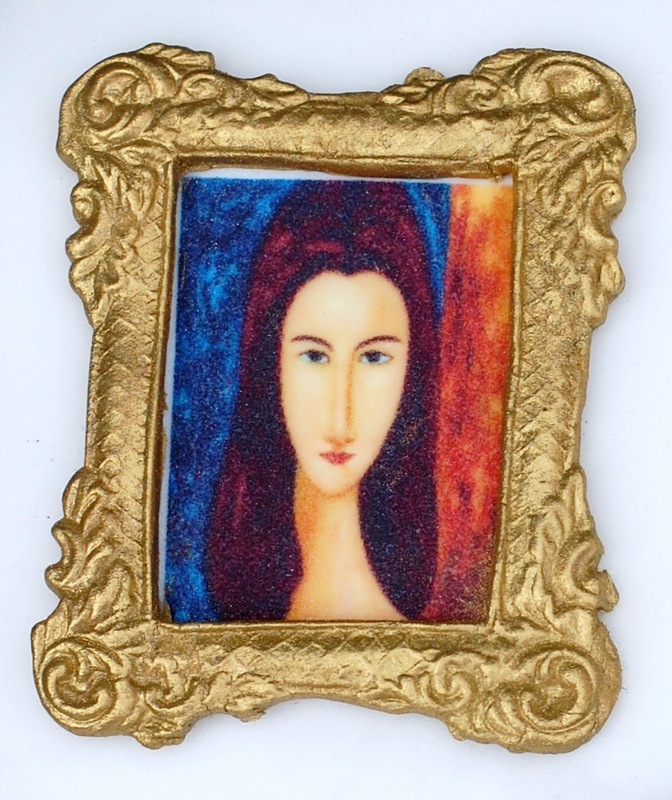 I was a bit nervous that the frames would be tricky to remove from the moulds, especially the oval one, but with a liberal dusting of gold or silver lustre they came out quite easily. I’m looking forward to using these frames again, perhaps with some printed family photographs, or I could try a bit more cake painting (see my Harry Potter cake post from February).